May - 01 | By: Morgan Raymond | no comments. Read the PDF above for information on PSU.tvs Web Series that is being Produced this summer! 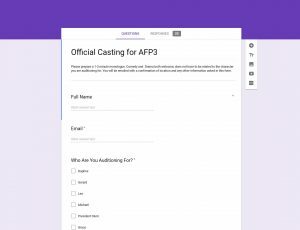 If you are interested in applying, fill out this application to set up an audition time. OR email [email protected] if interested in being an extra.